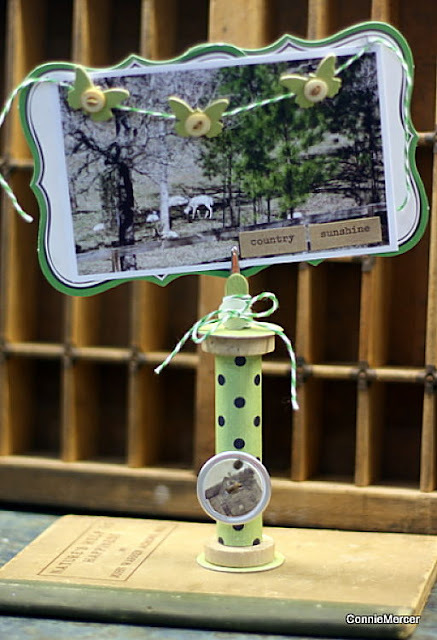 crafty goodies: Try it Tuesday fun!!! This was super fun to make!! !I used the Core'dinations ( Jenni Bowlin)﻿ cardstock for the base of my small tag/card!! I added some trim and my handmade flower ( from an old phone book), placed a button in the center of the flower. The lady image is by Darkroom Door~she has a pink tint to her and she worked perfect for this card. This is another company that has fabulous stuff1! I used the bingo card in the center~that was the challenge to make a card using a JBS bingo card! This challenge was the products and I happened to have all four products needed for this. I was taking a break from scrapbooking~so this is what I came up with~my version of a photo stand!! All of the products used on this wooden spool are JBS! I used some Claudine Hellmuth multi-med matte and Helmar 450 adhesive to get it put together!! So my challenge to you is take a break from scrapp'n and be "creative". Would love to hear from you!!! Have a great day!! Great projects, Connie! Love how Core'dinations designed their cardstock with JenniB's papers - one of my favorite series from them. Have a great Tuesday! Both of these projects are so pretty! I especially love your handmade flower. It's gorgeous! oh wow!! you totally rocked the vintage. they're gorgeous and i love the handmade flower too. yum! Outstanding. I loved using the Jenni Bowlin Core'dination. I'm almost out but it's been great. You did a great job! love love how you used that Core! :) And that photo stand is brilliant! 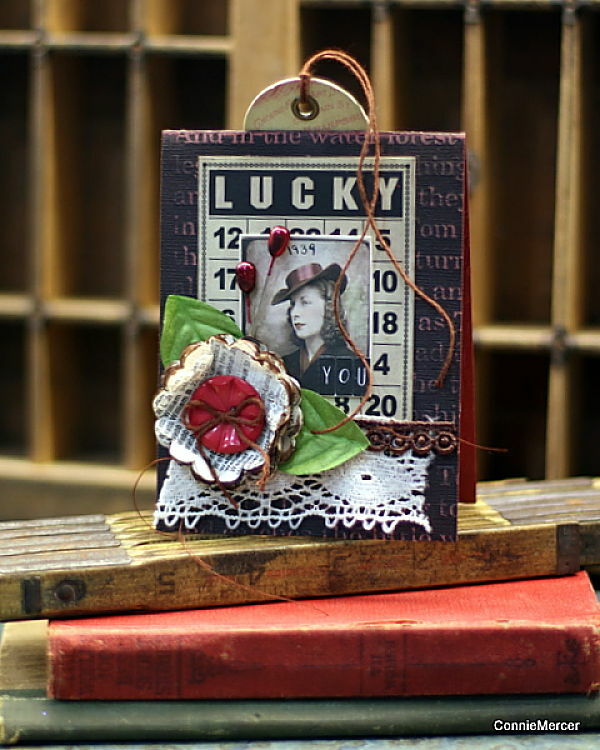 Such beautiful vintage projects, wonderful jenni bowlin style!!! Great Job!! Loving how you used the Core here - awesome vintage look!